Marvel’s hero of Harlem, Luke Cage, is poised to return for a new season on Netflix. After a well-received first season, the second story arc for the live-action Luke Cage series kicks off June 22, and we now have our first trailer for the season. Here’s everything we know about season 2 of Luke Cage so far. Netflix released the first trailer for season 2 of Luke Cage on May 7, and it was accompanied by the synopsis for the second season’s story arc — one in which Marvel’s steel-skinned hero of Harlem seems poised to deal with some challenges that will test how much of a hero he really is. The trailer also introduces that “formidable new foe” Luke will be facing the second season: The powerful, and similarly bulletproof villain known as Bushmaster, played by Mustafa Shakir. On April 26, Netflix published a clip from the second season of Luke Cage. The clip shows Cage undergoing a series of physical tests similar to those administered at the NFL Combine — running a 40-yard dash, flipping a truck tire, and performing a broad jump — and, as you might expect, absolutely destroying them. ESPN commentators Michael Smith and Jemele Hill (His & Hers) bear witness, showing some surprise at Cage’s abilities. Check out the clip below. According to a tweet on Tuesday, March 6, from the official Luke Cage account, the nigh-invulnerable defender of Harlem will be making his small-screen return on June 22. 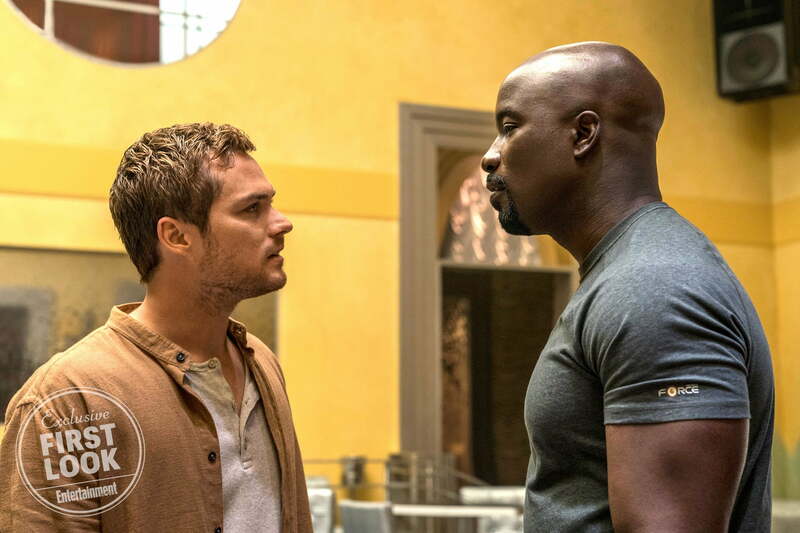 It’s unknown how many episodes of Luke Cage will feature Finn Jones’ character, Danny Rand, but a new photo from the season reveals that the kung fu master will indeed have a presence in the second solo series for star Mike Colter’s steel-skinned protagonist. The photo debuted at Entertainment Weekly, but the article that accompanied it is light on details regarding the extent of Iron Fist’s presence in the series. Given the long history of Iron Fist and Luke Cage as hero partners in Marvel’s comic-book universe, it’s no surprise that their live-action counterparts are sharing more screen time down the road. After meeting each other in The Defenders team-up series, Luke Cage and Iron Fist seemingly parted ways. However, Iron Fist promised to help Misty Knight (Simone Missick) recover from the injuries she suffered in that series — so his role in Luke Cage could be as simple as checking in on Misty at the hospital. Lucy Liu was previously announced as the director of the second season premiere of Luke Cage. Updated on May 7: Added the first trailer for season 2.